This week I have started thinking about the things I will need to find to make this diet work for me. For those of you who didn’t read my last post, I am planning to follow a local (Saanich Peninsula) diet for a month and am spending August getting ready. I went to the Peninsula Country Market on Saturday to check out what all the vendors are selling. The only thing I came home with was some broccoli, as most of what was available I also have growing in my garden. I will purchase some corn and freeze it in the next week or so, as I don’t grow corn. Last time I grew it I lost most of it to the raccoons, so I haven’t bothered again. 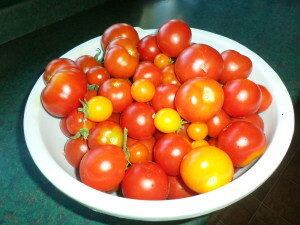 I have been canning tomatoes this week, and have lots ripening. I harvested my Norwegian beans and my Black beans are next. 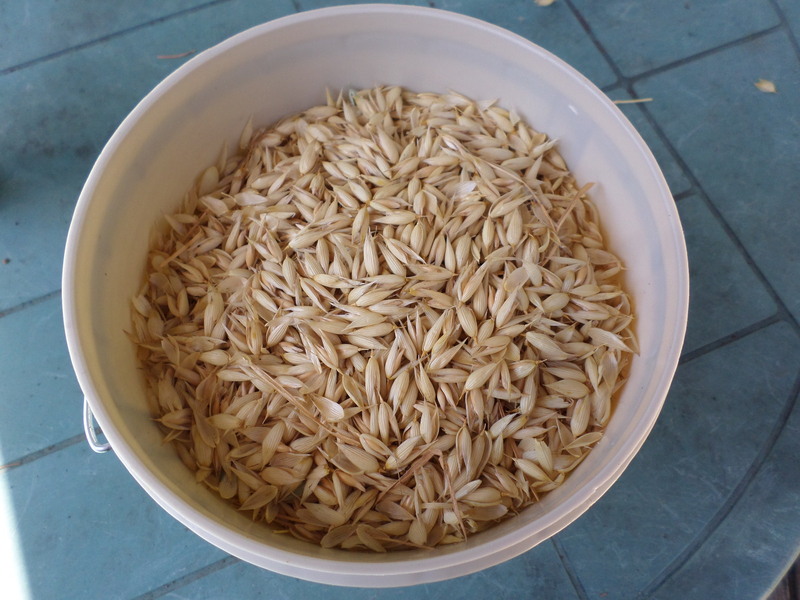 I also grew a bed of oats as an experiment and have about a gallon bucket of oats with their husks still on. The next step will be to remove the husks and figure out a way to chop or flatten the grains. 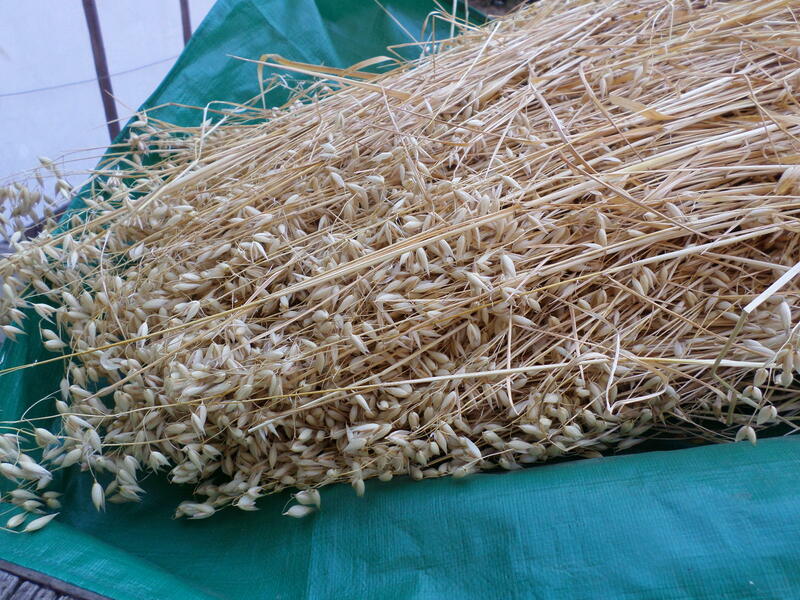 I’m going to just try rolling the grains to get the husks off. Then the next step will be finding the best way to go chop or grind. Maybe the coffee grinder will work. Stay tuned for updates.